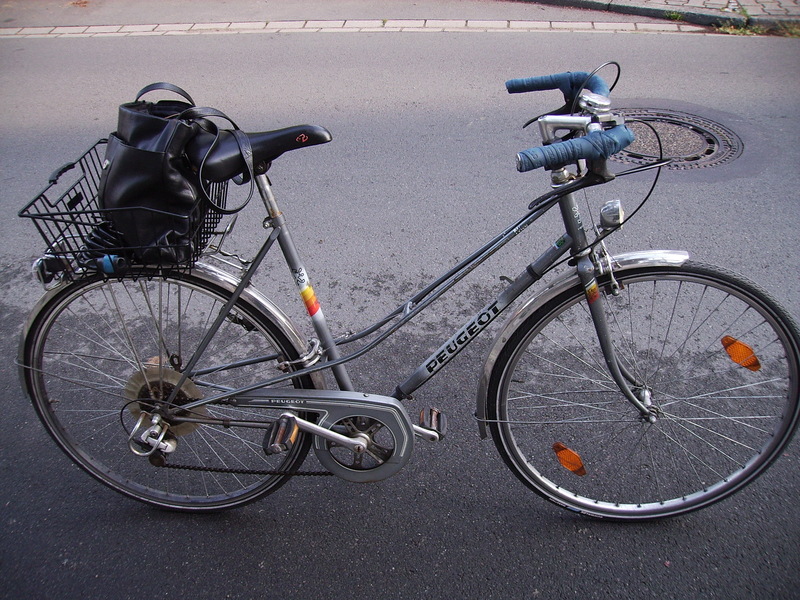 This commuter/city bike has been given to me by my parents as a present for graduation from high school. And it runs and runs and runs – more than a quarter of a century it has been in heavy use by now. Looks like a clunker, but is true and reliable to the steel frame. 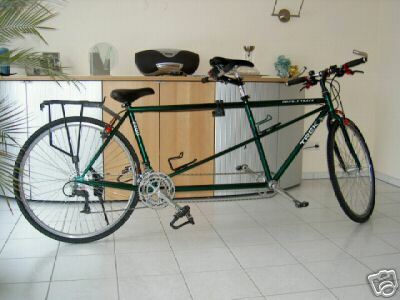 The Trek tandem was built in 1994, but came to my house only in 2004 – as a true Oldie But Goldie. Although the first owner and his wife had ridden more than 15,000K on it when they sold it to me, it was in brilliant shape. Also, it has been pimped a bit, e.g. 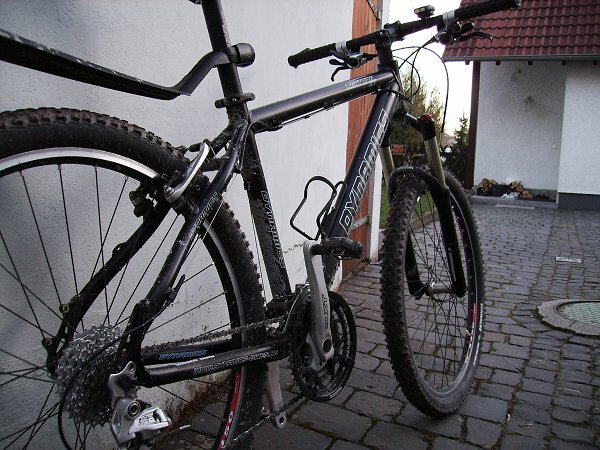 by complete replacement of the original components by Shimano XTR and Magura HS33 brakes. And since I don’t use it that much (mainly for lack of daringly enough co-riders), it is still as good as new. TREK quality at its best. 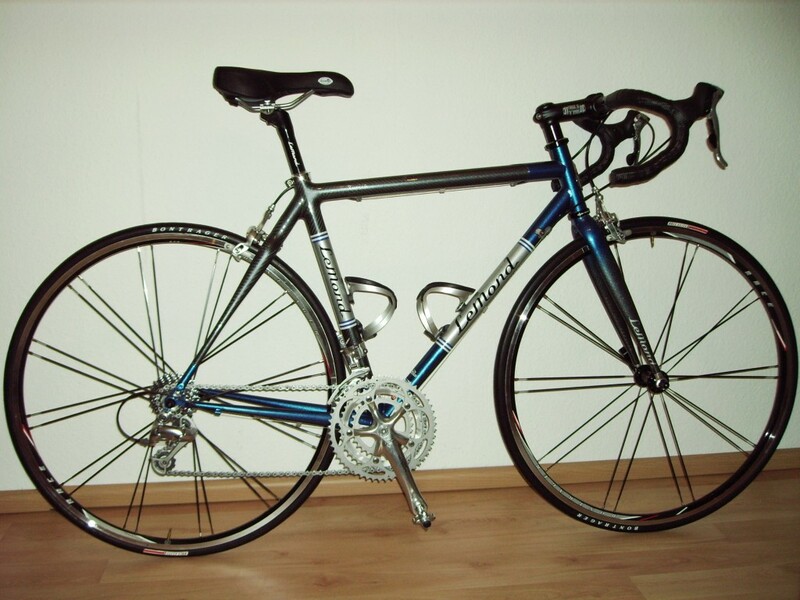 My second ever steel-blue (and steel-built) road bike I ever owned – the successor to the one I had as a kid (see: about bxa). Only that it seemed like total high-tech at the time of purchase. 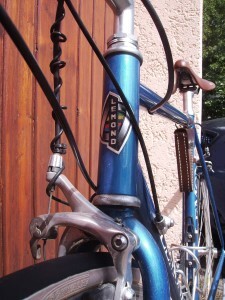 No frame shifters any more, but RSX brake/shift levers – wow, what a shifting comfort! 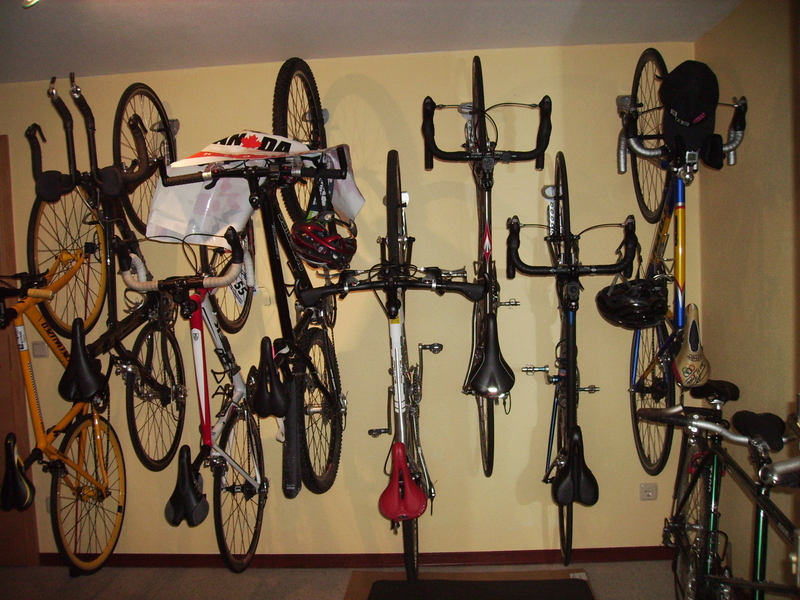 And the full range of 3 x 7 gears – yeah! I don’t ride it that often any more, but every once in a while I hop on and enjoy the complete different feeling when rolling along on those classic Mavic CXP10 wheels. They don’t make them with that much love any more, the big bike manufacturers (good there are some small and/or Italian ones coming into bloom again here and there). Check out the beauty of the real head tube plate (not a printed/laminated/paint-brushed one). 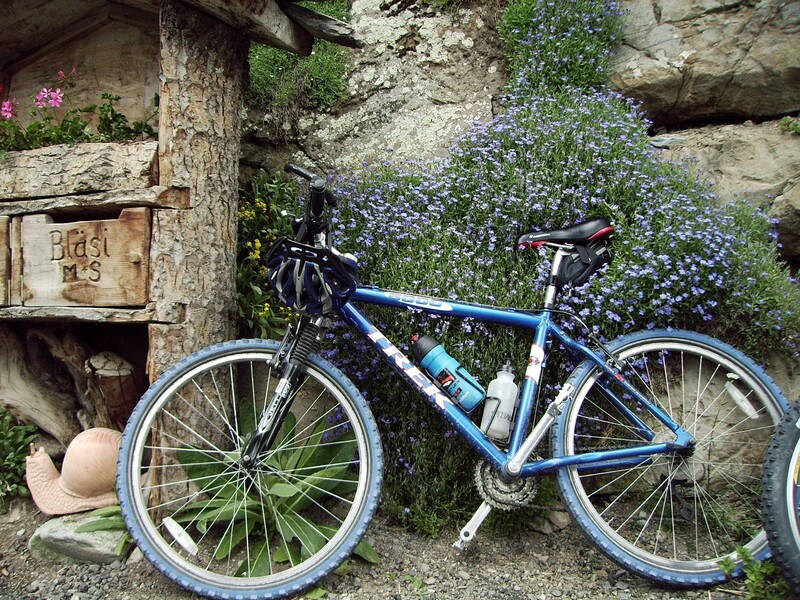 I was and am and will always be a hardtail rider when it comes to MTBs. What kind of warped concept is it to crash down the trails and rocky paths, to go fast and hard …if you then think you need the comfort of a fully? No way! However, I admit that a suspension fork is kind of nice to have – don’t really like that tingling feeling of every inch of biceps fibre after a long down-hill. My Merida 700c, a real beast of burden that can be trusted to carry my always heavily loaded panniers over unpaved, paved, muddy, dusty; well, over all sorts of roads and paths. Uphill has been a bit of work until 2010 and I thought the sub-optimal set of sprocket sizes should be blamed for it. 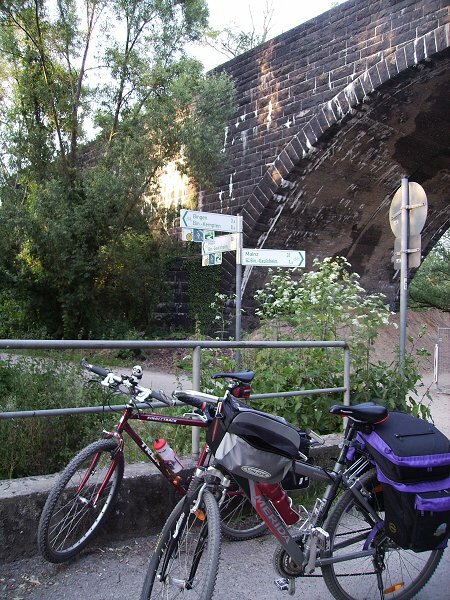 Indeed, that was the case: It is even more fun to bike pack even in hilly and steep terrains since my buddy replaced it by one that is better suited for such trips. Since then, I am loading even more luggage – and am back to my slow traveling speed of contemplation, thus. This bike is a real Beauty and a wonderful piece of work; or is it already art? Check out LeMond’s spine design: The frame is made of carbon where it looks good and made of good old classic steel tubes where it makes sense. And it even comes with the old head tube plate, not just a printed or painted logo. Hope you noticed what an elegant match the rather sleek and modern Tacx Tao bottle cages make for the classic slim steel tubes?! Full set of Ultegra components, 3TTT Stem, Handlebar, Bontrager X Lite Race wheel set, Bontrager seat post and CrankBrothers‘ egg beater pedals (which I have actually mounted to most of my bikes by now as they once and for all solved the year-long knee joint problems and the pins and needles in the soles of my feet). As stated in reference to the TREK 6000 hardtail already: When it comes to MTBs, nothing compares to a hardtail when it comes to making a real ride feel like a real ride. 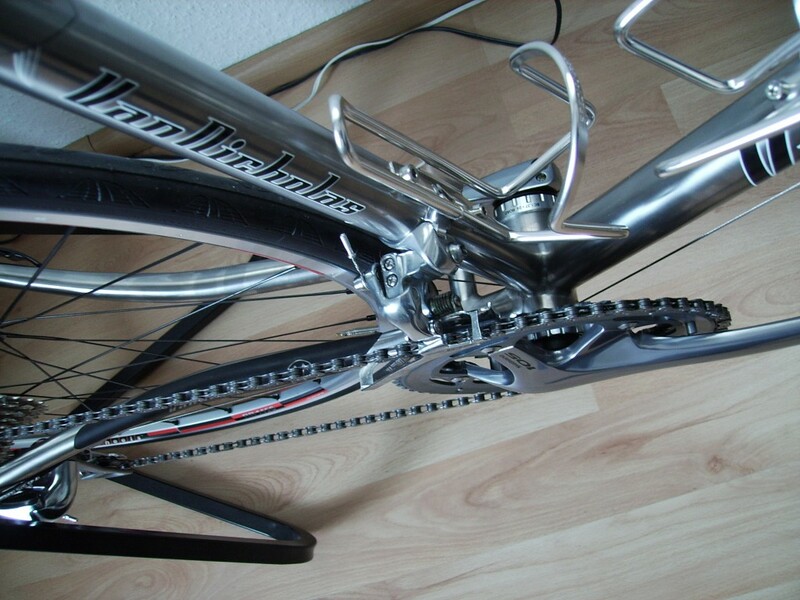 And this goes for this high-tech, fully XT-equipped one made of extra slim (and light) aluminum tubes as well. Although I do admit that, as a concession to my age, it is a nice thing that the bike is sporting a Mantiou R7 fork for a bit of a smoother ride. 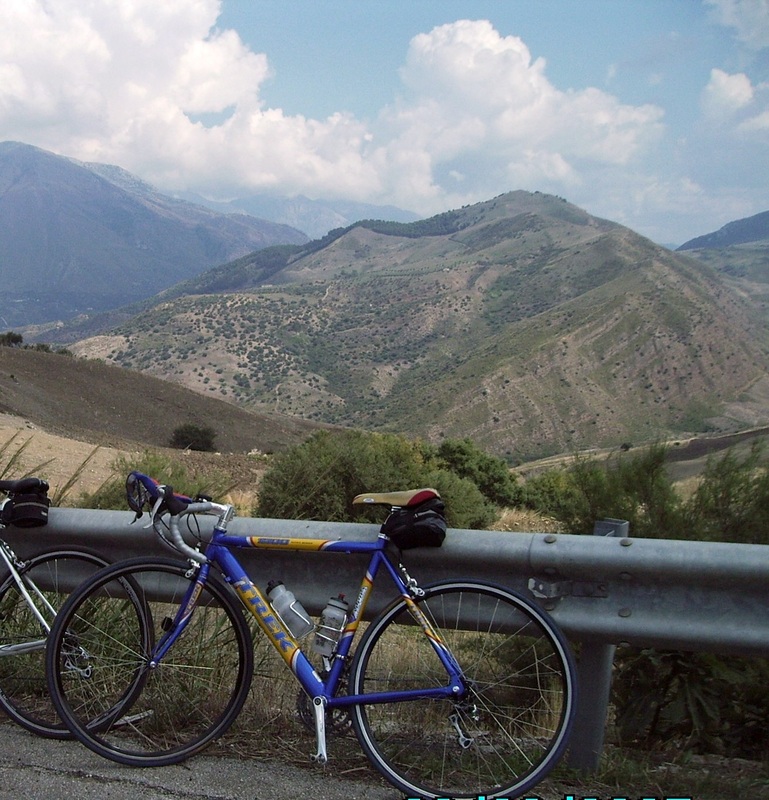 My long-time dreamt-about dream came true as an early Xmas present to myself by the end of 2008: a titanium road bike. Ever since it was added to my household, I have been in complete and utter love with it, from day one (even prior to having ridden the first mile on it). Real craftsmanship has been put into tons of lovely details. And on top of the aesthetics, it is a comfy, yet speedy ride. Never would have believed that the flexing of titanium does make such a definite difference in riding comfort. Amazing. 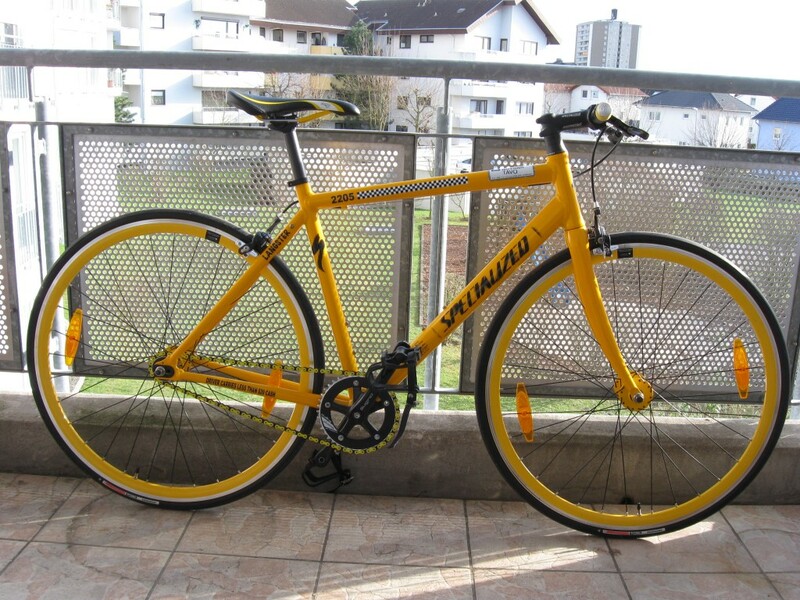 In 2010, I finally did it: I bought my very own „NYC checker cab“ bike, a single-speed that can be ridden as a fixie or a free wheeler. Swift and fun transportation through the city’s traffic jungle has been guaranteed ever since.